NYC Food Guy’s M.O. is delicious and affordable. My cheap eats repertoire is strong. And in the current economic state, bang for your buck carries added importance. Chicken parmesan heroes and Afghani kebabs don’t exactly go hand in hand, but two Midtown West establishments, Luigi’s and Afghan Kebab House #1 both offer what seem to be great deals. Unfortunately, only one lives up to the stringent NYC Food Guy standard of delicious AND affordable. 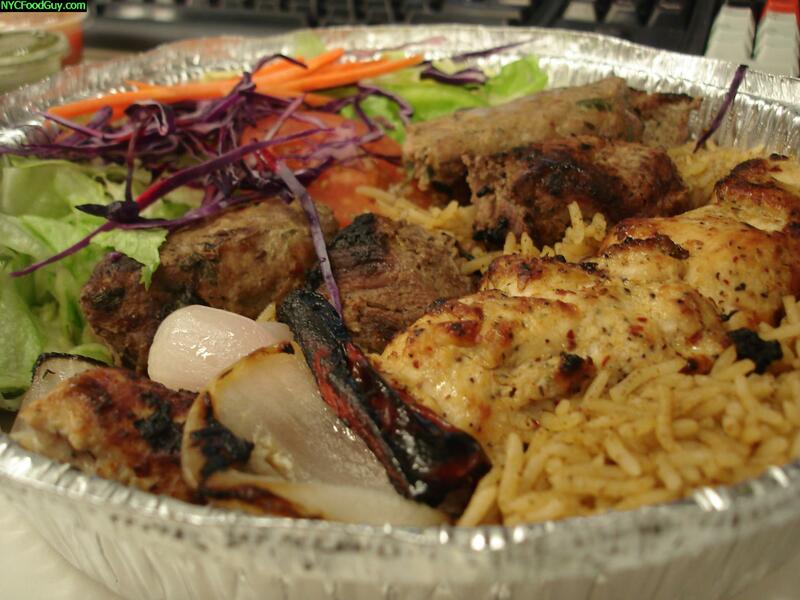 Afghan Kebab House #1’s $13.95 Combo Kebab Is Plentiful, But Is It Worth Nearly $16 With Tip?